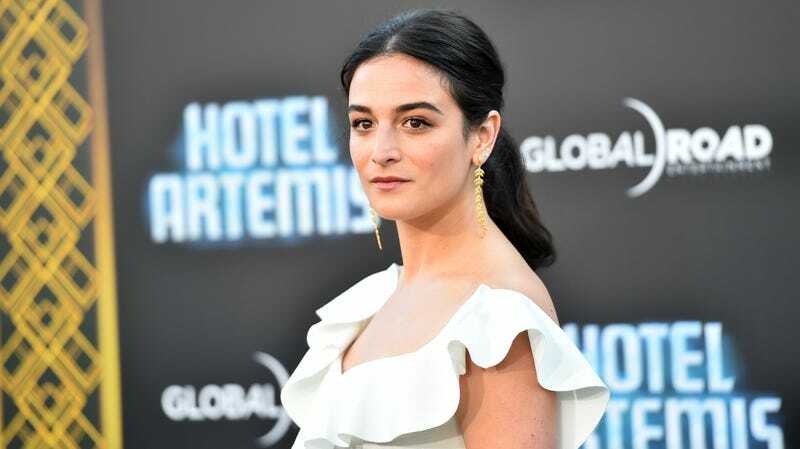 There’s a new Jenny Slate profile, and it’s very horny—or at least it mentions the words “horny” and “horniness” a lot. (Seventeen times, to be exact.) Does that make it horny? Is talking about a thing the same thing as being the thing itself? I’m reminded of the classic Christina Aguilera film Burlesque, which showcased very little burlesque, despite being titled Burlesque and featuring an entire song demanding that the listener “show me how you burlesque.” Really, it was a movie about cabaret performers, but they couldn’t call it Cabaret because Cabaret exists so they went with Burlesque, even though it’s not so much a movie about burlesque as it is a movie about people talking about burlesque. Do you see where I’m going with this? I don’t. Let’s just say the profile is horny. [Horniness] is my way of life… I use the word horny to describe a lot of stuff, and it doesn’t have to be sexual... I have to be horny. No one’s going to take this horniness away. I’ve made mistakes before in work and in personal relationships where I’ve just been like, I just want to be here so badly, that I will look past this glaring issue that I do not like. And that makes me feel uncomfortable… You can—for a while—look past the problems, but for yourself, you can’t really look past anything. You can repress, and you can try and be blind, but you will always be hobbled. I think one will always be hobbled by what they’re trying to hide in themselves—that burden will always make a weird emotional posture for you. Read the rest of the profile on Nylon. Jenny Slate is the Muppet Babies&apos; Nanny, But Why Has Skeeter Been Erased From this Narrative? JENNY SLATE AND CAPTAIN AMERICA ARE BACK TOGETHER !!@!@!!! !